Stocks of leading casino operators fell on Monday after the horrific shooting in Las Vegas. 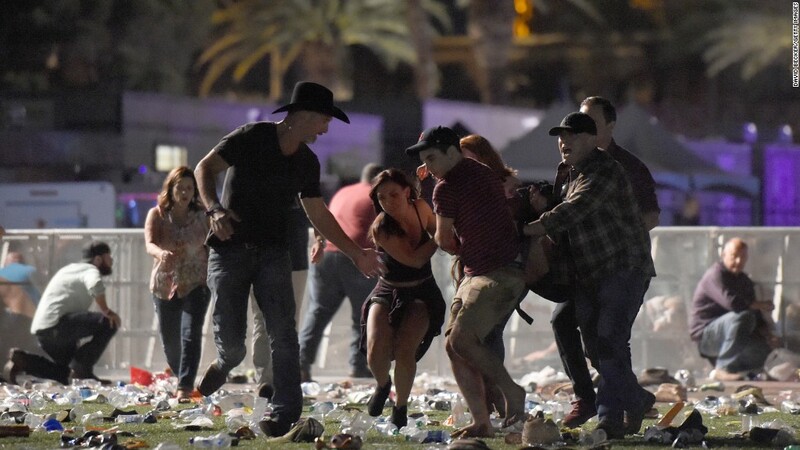 The gunman fired on a crowd at an outdoor country music festival from the 32nd floor of the Mandalay Bay hotel, killing at least 50 people, authorities said. The stock of MGM Resorts International (MGM), which owns the hotel, was down 5% in premarket trading. Shares of Wynn Resorts (WYNN) and Las Vegas Sands Corp. (LVS) were down about 1%. Casino stocks have performed well recently, helped by Macau, a region of China that is a growth center for the industry. Wynn is up 70% this year, and MGM had been up 13% before the attack. MGM revenue had been up 19% this year. Las Vegas attracted a record 42.9 million visitors last year, according to the convention and visitors bureau, up 18% from the recession year of 2009. The city has been on track for slightly less than that this year. Vegas has lost some business as gaming options have grown elsewhere in the country and world, but it has still enjoyed a solid recovery. Unemployment in metro Las Vegas was 5.2% in August, above the national average but down a half-point from a year ago. Home prices, hit hard during the housing bust, have nearly doubled from five years ago, although they're still far below their high during the housing boom.